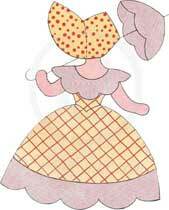 The Miniature Fisherman applique pattern is one of the rare Overall Bill patterns from the Sunbonnet Sue line. 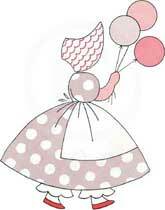 These blocks would be so cute also as a wall hanging with the overalls in various colors. 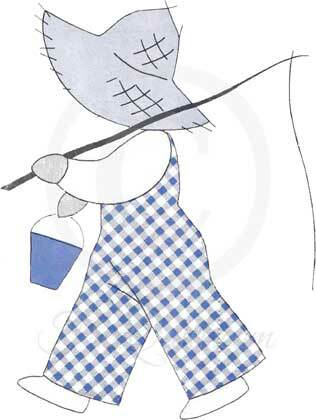 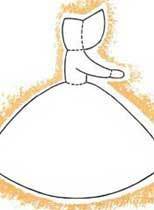 Click on image to print the 5" block of the The Miniature Fisherman – Overall Bill - Sunbonnet Sue Applique Pattern.